The well established international money transfer method of Person to Person has long been used for US sportsbook members as both a depositing and a withdrawal method, and as a great alternative to depositing by credit card many people use this option. Although Visa and now Prepaid Visa cards are the most popular methods used when funding a US online sportsbook account, P2P depositing has its place and is widely accepted. The beauty of depositing person to person is that there is a 100% acceptance rate, and as many of you may know, that cannot be said for major credit cards such as Visa and MasterCard, as often cards are declined by the issuer with nothing either you or your sportsbook of choice can do about it. Although depositing by this method is not instant, there is only a wait of a few hours, and most players have no problem with that. Your first step is to make sure that your sportsbook accepts person to person transfers, and we suggest Sports Betting Online, however there are other options. Important Note: Person to Person may not always be listed as this method in the sportsbook cashier and sometimes it will be called ‘Money Transfer’. Once you’ve selected the P2P option you will be asked to contact customer support either via live chat or by a toll free number. The support agent will then give you a persons name and a city to send the money to. You then have the option of either visiting a location, of which there are literally thousands in the US, or making the transaction online, and either way you just send the amount you wish to deposit to the person that the sportsbook has provided you with. Then simply contact the sportsbook and let them know you’ve sent the cash, and exactly how much you have sent and they will do the rest and fund your account. That seems like a few hoops to jump through, but it all happens very quickly, especially if you do things online. If your sportsbook of choice accepts this method then there’s a very good chance that they will make payouts via that method too, and it’s an excellent way of collecting your winnings. The exact same process is done, just in reverse, and there’s nothing quite like the feeling of picking up your sports betting winnings in cold hard cash. 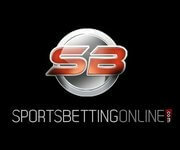 Use P2P at Sports Betting Online Now!